Winnebago just revealed its newest RVs. Among them is the Revel, a four-wheel-drive, off-road camper. If the name Winnebago makes you think of a land yacht that slows down interstate traffic, it’s time to update your knowledge. 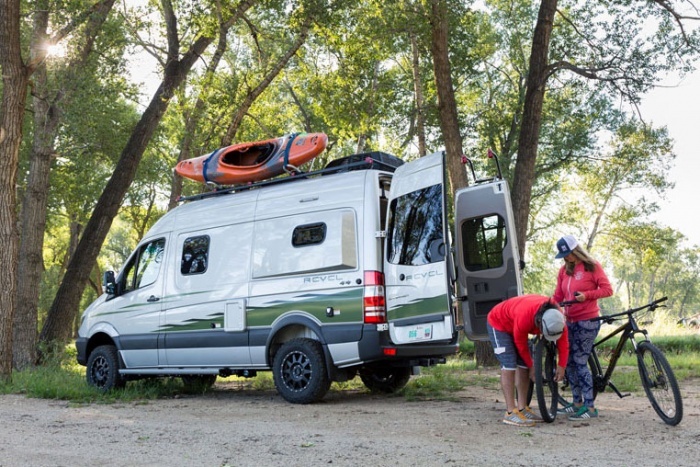 The RV brand today announced a 4×4-capable camper called the Revel. 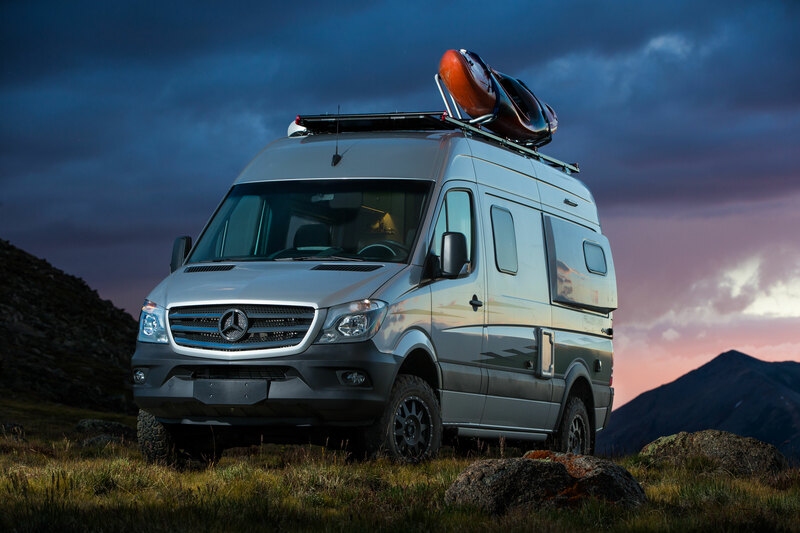 It builds on a Mercedes-Benz Sprinter platform. 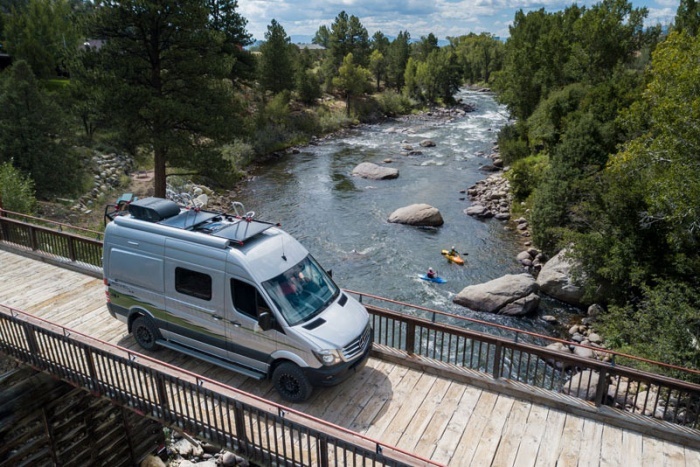 Many small companies build out Sprinters into custom or semi-custom RV’s, and Winnebago uses the platform for its versatile interior and modest off-road capabilities. Early shots of the Revel show a family-friendly, off-road adventure-mobile with some nice interior touches. Driving the Sprinter chassis is a three-liter turbo-diesel churning 325 lbs./ft. of torque. That adds plenty of oomph on the highway, but an on-demand 4WD mode gives it grit for tackling rutted off-road. Rounding out the Revel’s overlanding chops is a hill-descent mode. With it, the vehicle automatically controls the speed of each wheel to help keep the vehicle in line at a safe speed. Inside is an “all-in-one wet bath” with a cassette toilet. There’s a full electric galley with a compressor refrigerator. Lining the kitchen space are aluminum cabinets that have positive-locking latches to keep doors shut through bouncing and rocking. There’s also a dinette for meals, and a convertible pull-up table that can shift for added sleep space. Perhaps most exciting for outdoor recreation nuts is the rear “gear garage.” Here a power-lift bed allows 140 ft.³ of storage space when fully elevated. 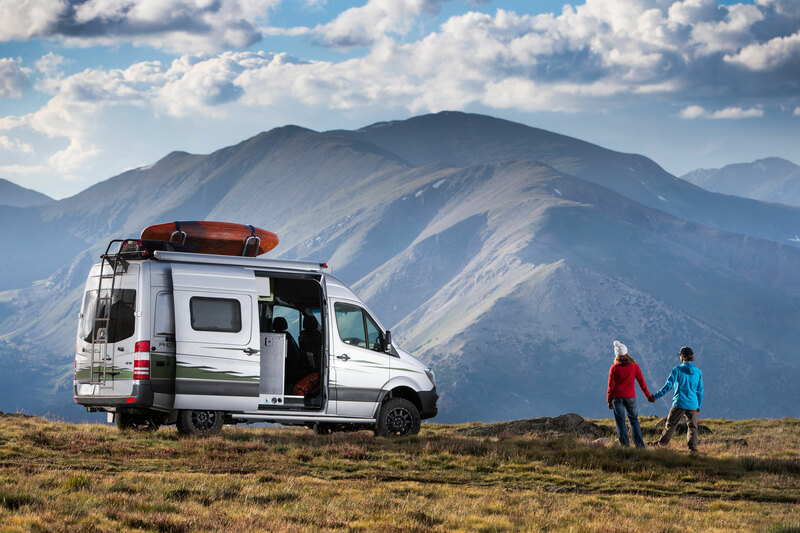 “The Revel is a true 4X4 RV designed to take you to places no other Winnebago motorhome has gone before,” said Russ Garfin, Director of Product Management. Translation: This Winnebago can take you to hard-to-reach places, AND help you stay there. That’s great news. The catch? 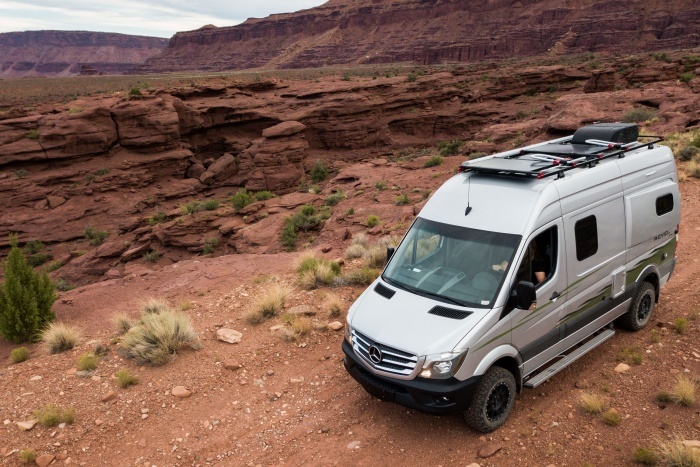 This off-road-ready camper has a suggested retail price of $134,799. That’s a lot for a family camper. But to be fair, it’s cheaper than a yacht.